Notes: The inital gallery is contorted and then follows a vein, before often turning at right angles. 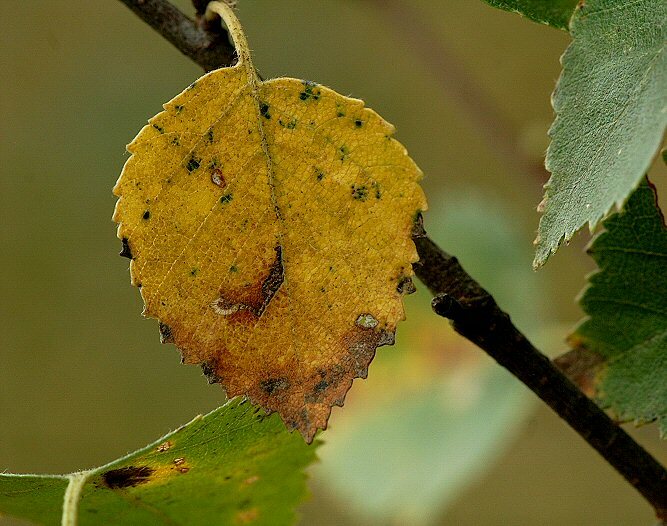 In the free feeding phase the larva window feeds on the leaf. Found in woodland, heaths, moorland and bogs.